We love having a charming App! 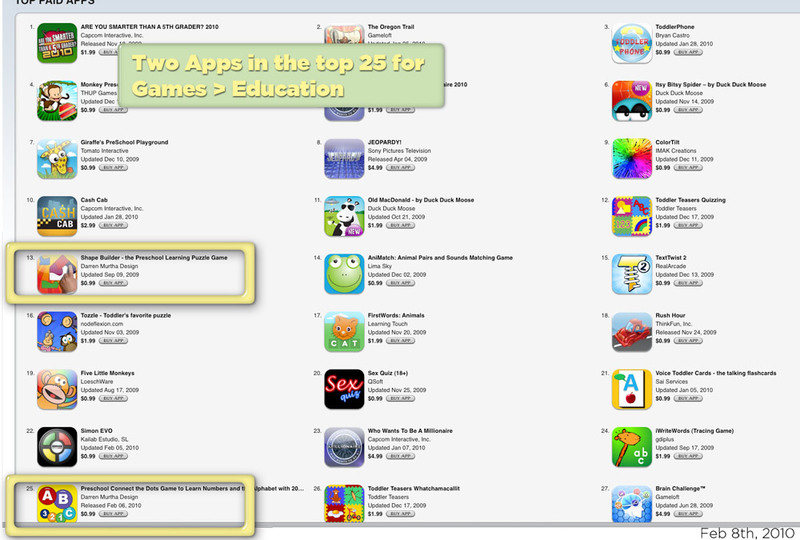 Top 50 Kids Apps! Connect the Dots is number 10! Preschool App on the iPad! 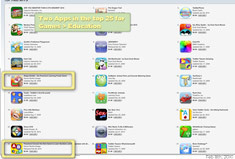 iTunes has several categories classified under “Games.” One of those categories is “Education.” Right now 2 of the Apps we developed are in the top 25 for Paid Apps!!! Here’s the next iPhone Baby or next Apple Commercial!